Bloc: Tell us a little bit about your background. Joanne: I have a lot of marketing background, but no formal coding experience. Last year, I wanted to make a food tracking web app, and during my search for a developer, someone suggested that I learn how to code. That’s when the journey started. B: Why did you join Bloc? J: I wanted to learn after work hours to see what coding was all about, and I liked how Bloc matches you with a mentor that you can go to when you get stuck. B: What was your Bloc experience like? J: The Ruby exercises from Bloc were pretty hard, and it was super helpful to talk to my mentor who explained it to me and helped me work through the problems. I liked the Bloc curriculum because it was very thorough and having a mentor made learning so much easier and enjoyable. 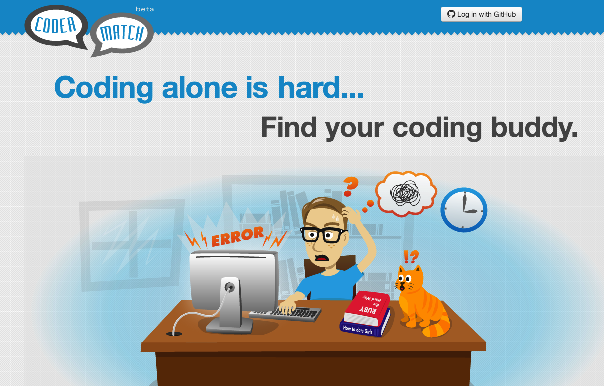 B: What inspired you to build CoderMatch? J: CoderMatch is my first Rails app, and I was inspired to build it because I was looking for people to pair program with locally or remotely, and didn’t find anything out there that helped match me with other coders. B: You mention Channing Tatum a couple times in your profile. Any Channing fan pages in the works? J: Not yet, but maybe down the road. I’m a huge Channing fan because the guy is so funny and down to earth. Now, I just need to think of something fun to make that involves him. Check out Joanne’s other work in her portfolio. We here at Bloc absolutely love Codecademy. Two years ago, Codecademy ignited a movement and inspired people try to learn to code. If you're like Mayor Bloomberg and millions of other folks who want to understand what all this coding fuss is about, Codecademy was a free and easy way to get you feet wet – and by all accounts Codecademy is bringing hundreds of thousands of new students into the fold. Codecademy is also great for old timers who want to update their skills. Let's say you're familiar with web hosting and are currently an IT professional, but you learned to program in C++ 10 years ago. Codecademy is a great way to start familiarizing yourself with the Ruby syntax – you’ll breeze through object oriented programming and string manipulation in hours and be hungry for more!. Once you're up and running, there are hundreds of resources including Bloc that can help you learn more about the Rails framework, Gems, APIs, iOS, and User Experience. So why do people join Bloc? A lot of students we talk to say they eventually hit a wall with free and low cost options, and to get further they needed a human guide. Furthermore, for those that are hoping to make a real life change, they value the opportunity to work directly with an experienced professional developer. Others use Codecademy to learn syntax, and then come to Bloc for help in building their own project. Finally, the idea of apprenticeship appeals so much to us here at Bloc because software development is a craft. Budding developers come here to learn the tools of the trade. Codecademy – keep doing what you're doing. Many of our students join Bloc to prepare themselves for a career in web development. While we can give you the skills, nailing a coding interview is still pretty nerve-racking. Lucky for you, we found this great article on Interview Cake that gives some excellent coding interview tips. Some of the advice offered includes how to chat about your coding background, communicating your abilities effectively, and getting unstuck on coding questions. The site also includes practice questions to make sure you're as prepared for your inerview as possible. The popularity and abundance of Massive Open Online Courses, or MOOCs, has skyrocketed in the past two years. Numerous companies and non-profits have entered this space (Coursera, Udacity, and Kahn Academy being the major pioneers), offering people from all walks of life exposure to vetted, often college-level information via online video lectures. Higher education institutions such as Stanford, MIT, and Harvard have joined the game, some even offering accredited certificates to be used as self-promotion tools in finding employment or earning continuing education or professional development credit. The meteoric rise of MOOCs is easily understood in light of the rapidly rising percentage of the world population with access to the internet, the rapidly rising costs of higher education, and the demonstrable benefits of pragmatic, applicable skills (such as coding) in today's dynamic economy. MOOCs are being sold as a global education equalizer; a type of humanitarian response to a broken education ecosystem. Anyone, anywhere, can freely access lectures from Ivy League professors and Nobel laureates from the comfort and convenience of their own homes. MOOCs bring the information once accessible only to the privileged few to anyone with the desire to seek it. The benefits and possibilities enabled by MOOCs are clearly vast, but they are also limited. Criticisms commonly wagered against MOOCs include course attrition rates (sometimes as high as 90%), the virtual impossibility of pupil evaluation, and the complete absence of interaction between teachers and students. While MOOCs have profound implications for the dissemination of knowledge to far-reaching corners of the globe, they are not the panacea to education inequality or replacements for established and effective methods of learning. The primary shortcoming of MOOCs lies in the fact that access to information is not equivalent to education. What one can learn by watching a lecture is not the same as what one can learn by questioning a teacher or participating in an interactive debate. In an article titled "What's the Matter with MOOCs", Siva Vaidhyanathan notes that "Real education happens only by failing, changing, challenging, and adjusting…Education is an imprecise process, a dance, and a collaborative experience…[it] is certainly not an injection of information into a passive receptacle." MOOCs can be beneficial in many ways, but they are limited because they don't offer an education comprised of interaction. 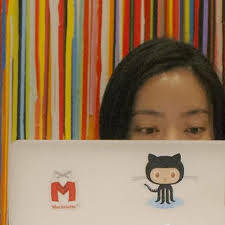 In our industry of accelerated web-development learning, there is a crucial and wholly deliberate distinction between Bloc and the gamut of web-development MOOCs. What MOOCs lack–collaboration, interaction, and mentorship–are part of Bloc's foundation. Yet, because Bloc is still entirely online, we maintain the benefits of accessibility and convenience enjoyed by online platforms such as MOOCs. We don't pretend to be the only outlet for gaining the skills necessary to be a professionally competent web developer in an accelerated time frame. We view in-person, intensive web-development courses, such as those offered by DevBootcamp and App Academy, as excellent industry courses. We wholly endorse them based on their educational merit; they have both good curriculums and quality teachers. But, like a growing number of educational opportunities today, the cost and physical demands of these programs make them largely inaccessible. On the flip side, web-development MOOCs, such as those offered by Coursera and Codecademy, while accessible, don't offer a high quality education as much as they display information. In these programs, pupils simply don't attain the knowledge or competency to become competitive junior developers. Bloc is intentionally positioned to address both the shortcomings of traditional MOOCs and the inaccessibility of the vast majority of high quality, pragmatic web development programs. By having access to mentors (and putting in hard work), students are able obtain an education, not just become familiar with information. We have had a high level of success outputting alumni who have gone on to become professional web developers at existing companies and many have started companies of their own. Check them out here. Rob Johnson, the founder of Maker's Academy in London, did some exploration on the ways people learn to code. After interviewing people who attempted to learn programming and failed, there were "four points [that] contributed to nearly every person’s decision to give up." 1. The terminology in help sections is confusing for beginners. 2. There is a "sudden leap in difficulty." 3. People are inconsistent in how much time they spend learning. 4. People were not working on engaging projects. You can read his entire article here. And if you happen to be in London, you can check out his in-person web development program, Makers Academy. If you happen to be somewhere other than London when the urge to code arises, you can learn with Bloc. Rob's tips happen to be the fundamental ingredients in our online program. What are some companies alumni have started after Bloc? Will mentors help you after the 12 week program is over? 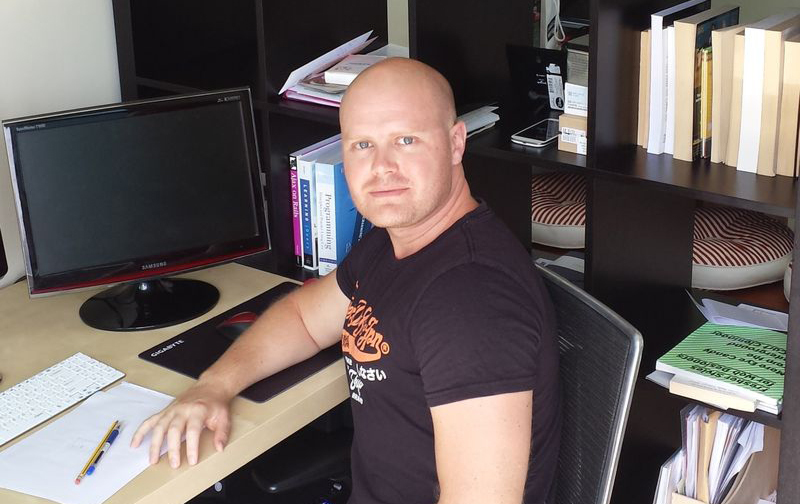 Bloc gave me the confidence to start my own tech business. Before I took the Bloc course, I was hesitant to begin a web project because I didn’t have the technical knowledge to make significant progress. After Bloc, I was able to not only begin a web project but to successfully write my own search engine in Ruby. I’ve developed a working prototype and am now looking to pivot it into an existing app. Bloc was a stepping stone for me into the world of web. My career used to be limited by a lack of programming skills, but now I feel like I can step into any job and confidently develop high quality apps. It was worth every penny spent. My mentor, Ryan, was great. After trying and failing to do things on my own, Ryan was able to quickly and effectively help me. The fact that we were in different zones ended up not being a problem at all. Ryan was absolutely essential in accelerating my learning. My goal entering Bloc was to launch a career as a programmer. Because of Bloc I now have that ability. Instead of getting a job, though, I decided to start my own web company. My Bloc education will be a massive asset for the company moving forward. I found the website to really well laid out and usefully designed. I enjoyed logging into Bloc just to hang around the site and I thought the course was generally well structured. All in all it was a good learning (and social) experience. 4. What tips do you have for future students? Do not use Windows! It takes stupid amounts of time to make things work and you can install Rails on Ubuntu with one script (you just run it in the console). In Windows, it can take days! If I worked on Ubuntu from the start I would have finished a week earlier. Learn the art of asking questions. Ask your friends, mentor, StackOverflow, anything. Get unstuck as soon as possible. Wednesday Evening Info Sessions Now Available! Bloc is adding an additional weekly info session to make sure everyone who wants to learn about our web development apprenticeship can attend. We will now be hosting sessions on Wednesday evenings from 6-7pm PST as well Friday afternoons. The first problem I see is that most companies have an HR department set up to only hire for a set of skills & experience on a resume. We need to get over the idea that a 4-year computer science degree is required for what we do. Or, that we should look for years of experience when we use such rapidly-changing tools. Bloc's 12-week apprenticeship has these principles in mind (and more). A human-centric model of education is a response to myriad qualitative and quantitative research that illuminates how personal interaction is essential to the learning process. A wealth of academic literature in fields ranging from clinical orthopedics to piano pedagogy exists that supports the idea that personal attention from experts and the presence of mentors will enhance and accelerate the acquisition of knowledge and success. Guided, collaborative learning is more effective than learning alone. Until the second half of the twentieth century, most behavioral theories described human learning as the result of internal acquisition as opposed to collaboration and environment. Learning was thought to occur alone, based solely on the intrinsic capacity and drive of the individual. Traditional educational ecosystems evolved from the notion that “people possess generalized personality traits leading them to behave in a consistent manner, however variable the social influences.” The massive class sizes of elementary, middle, and high schools, intertwined with rigorous standardized testing, are a reflection of this philosophy. Social learning theory, on the other hand, describes human learning as the result of observation of and interaction with others who are learned in a skill or area of knowledge. Albert Bandura, the creator of social learning theory, argues that, compared with solitary learning environments, social atmospheres “provide a much greater latitude for creating contingencies that can in turn affect one’s own behavior.” ”[The] process of acquisition,” Bandura says, “can be considerably shortened by providing appropriate models (mentors). Under most circumstances, a good example is therefore a much better teacher than the consequences of unguided actions.” In other words, direction from an expert enables substantive and efficient learning. The dynamic described by social learning theory has been largely corroborated by empirical studies on the positive effects of mentorship in both academia and industry. Access to individual attention from a mentor improves protégé outcomes across a spectrum of professional metrics, from salary to organizational commitment. Another paper, titled “The Role of Mentorship in Protégé Performance“, published Nature in 2010, used data on 7,200 mathematicians to dissect the tangible benefits of mentorship. The authors state that those with high quality mentors “are reportedly more likely to have high performance ratings, a higher salary, and receive promotions” compared with their un-mentored colleagues. A cross-sectional study out of Michigan State University concluded that, “Significant differences were found between informal protégés and non-mentored individuals for all subscales of organizational socialization, satisfaction, and salary.” A variety of indicators across a range of fields empirically show that utilizing a mentor yields palpable, beneficial effects for protégés. These papers represent a tiny fraction of the literature demonstrating the efficacy of personal attention and mentorship. Faced with this body of evidence, industrial and educational models are evolving from their once mass-market approach. Business schools, for example, once focused solely on academic performance, are increasingly relying on formal mentorship programs to output qualified and competitive graduates. ”Mentoring programs [in business schools] attempt to bridge the gap between academic training and students’ successful entry into the business world,” says Regina Schlee, author of “Mentoring and the Professional Development of Business Students“, published in the Journal of Management Education. The nature of the paradigm shift in business school culture, Schlee observes, is a response “to the increased importance accorded to mentoring programs by other sectors of society…”. United States higher education is adapting to the philosophy that mentors are a key component to holistic personal growth and the needs of today’s economy. Too much evidence and too many anecdotes exist to ignore the value of mentorship in learning and in life. Educational ecosystems are slowly but surely adopting mentorship and collaborative learning structures. Salman Khan, Bill Gates, Sir Ken Robinson, among others are leading the charge to humanize the classroom by replacing the traditional metric of student-to-teacher ratio with student-to-valuable-human-time-with-the-teacher ratio. A spectrum of industries from medicine to law are embracing the long-term benefits of mentorship programs. In a paper proposing a framework for re-inventing piano pedagogy through mentorship, Jonathan Kuuskoski of the University of Wisconsin writes that, “a student-centered and individually tailored educational experience…will better prepare aspiring pianists to leap into the professional world.” The big-picture mentor discussion makes clear that “aspiring pianists” can be readily replaced with any number of positions and professions of craft. Mentorships foster the independence and competence necessary to navigate the shifting tides of today’s economy. The rapid pace of technological innovation renders the importance of mentorship paramount in light of evidence demonstrating that guided, collaborative learning is more effective than solitary learning. In billionaire Richard Branson’s words, “Whenever I am asked what is the missing link between a promising businessperson and a successful one, mentoring comes to mind.” In recognizing the fundamental merit of shared experience and expertise, the search for and cultivation of a mentor relationship becomes essential to those striving for success in today’s world.